Preserving your family food memories into a tangible legacy for future generations. Do you feel too busy to record and preserve your family’s stories and recipes? Do you have that nagging feeling that if you keep waiting, these precious stories may never be captured? Through the Heirloom Meals Recipe Project I will guide you in an easy and structured way, and give you the support and accountability necessary to bring your pens and your pots together to produce your heirloom family cookbook. Because the reality is "someday" may never come! Putting pen to paper and writing about family food memories is a lofty goal. Many would rather do laundry than sit down and write. A blank page is intimidating! How many times have you looked at your recipe box/folder/binder you created OR the one you inherited, and longed to have them in one place to SHARE? What about those recipes that aren’t written down – how do you preserve those intuitive concoctions that take you back to your childhood table? The Heirloom Meals Recipe Project is an 8-week program designed to help you write your family food history, organize your recipes and result in YOUR Heirloom Meals Recipe Book. Unlike most online options, our program and template has ample space for your narrative story, recipes, family photos and scans of stained recipe cards. While recipes are wonderful, it’s the stories that give them their full flavor. In the workshop, I will guide you through the process of writing your family food narrative, headnotes for your recipes, and collecting all the supporting photos that will result in a treasured book to share with your family. Think of me as your Edible Legacy Coach! Each week, I will email you a workbook with writing prompts and other exercises. We will have an hour-long live call. We will have a private facebook page to build community, post our progress and share our stories. The goal is to chronicle your family food history. Your written story will emerge as a result of responding to the prompts. We will ultimately combine that with your recipes with headnotes, and photos, and build it into your very own hard copy Heirloom Family Cookbook. The workshop is designed to produce an end-product. It provides that accountability we all crave to keep a project like this on track, and to get finished!! 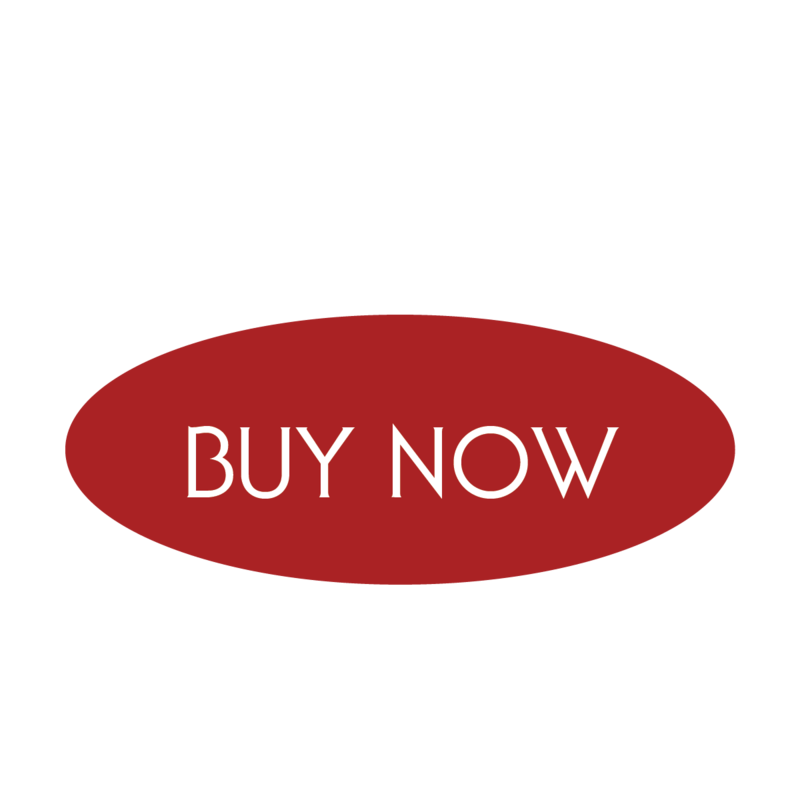 Price $997 - payment plans offered! Next class begins on November 24, 2015. I can design a group or family class - call me at 413-298-0173 or e-mail me for details. Carole takes you on a journey through all five of your senses as she guides you through the delicious and colorful food memories of your childhood and family. She taps you into the sights, sounds, tastes and smells of the food and traditions that weave our family memories into the tapestry of our lives. She takes you on a journey that will leave your mouth watering and your heart swelling with the memories of your cherished family traditions and recipes. While doing this project, I had the unexpected pleasure of connecting my children to the grandparents and great grandparents they never met. We combed through family photos, old cookbooks and scribbled on index cards, while we shared memories about the people and events we’d almost forgotten. I loved doing this with my parents. We laughed, we cried! We shared our favorite memories and spend hours one night talking about holiday dinners and our favorite dishes. What a fantastical journey through our family memories. I was reminded of the simple pleasures and the power of creating a meal and sharing it with those you love. I was reminded how powerful it is to bring the people you love together to share a meal and a life-long experience. 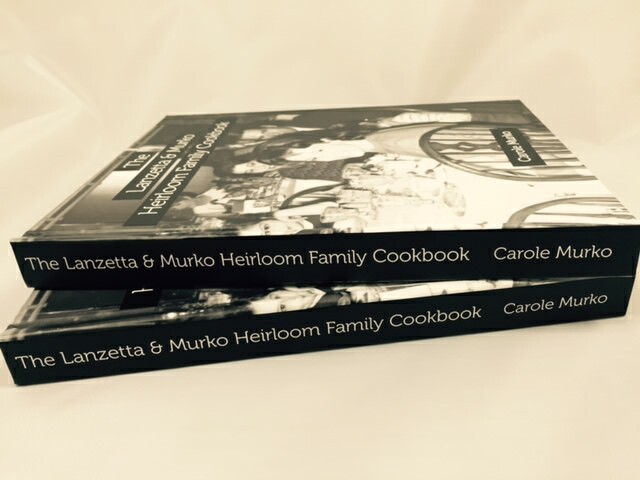 Thank you Carole for creating the Heirloom Cookbook project and giving my family a treasure to be shared for generations to come! This was such a freakin’ blast! I loved it! My family loved! Thank you for reminding me how much I loved my grandfather’s past fagioli. I hadn’t made it in years, and it was such a pleasure to taste it and feel the love of this cherished recipe come back to life. The Heirloom Meals Recipe Project has been amazing on so many levels. Carole has organized the weekly sessions in such a way to get us thinking on a big scale about our memories, then working down to a personal, intimate portrait of individuals and their favorite recipes. From the outset, Carole encourages her participants to consider all the influences that made them the cook, the foodie, the teacher they are today - through reflections on our most beloved childhood food memories, the marvelous old kitchens of our grandmothers and mothers, the stories we share during the fellowship of family mealtime (or informal gatherings with friends), and the anecdotes about our most beloved recipes. The process has reintroduced us to many 'old friends' in the kitchen (both beloved family recipes and new discoveries), sparked conversations with family about their memories of cooking together and sharing meals, and above all, produced a collection of favorite recipes and stories that will surely become our go-to book for our favorite recipes. Through this process, I've not only reconnected with many, many 'old friends' in my kitchen, I have also captured the stories that gently cocoon those friends, warming my heart throughout the years and bringing joy to so many gatherings. I've also learned that it's great fun to write about food - not only critiques, but the back-story, the genesis, and the emotional connection. And I'm fairly good at it!! What an utter pleasure it's been to share this journey with women who have equally great stories to share, all the while encouraging each other, asking questions, and having more memories stirred up! 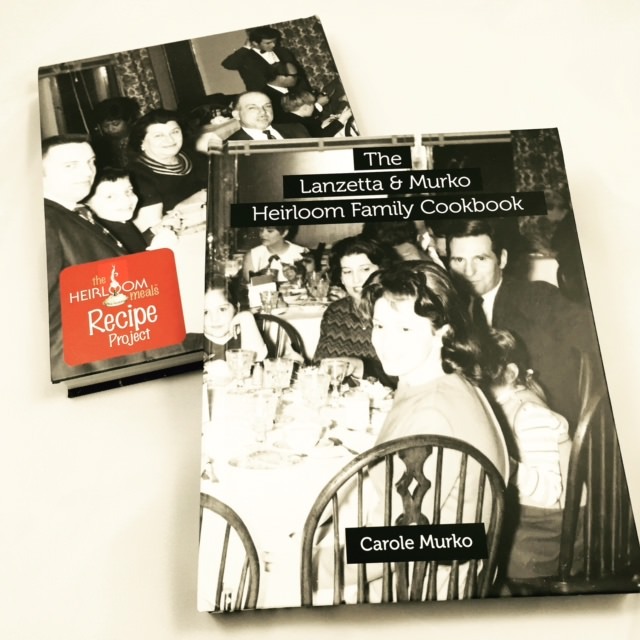 Under Carole Murko's thoughtful, sensitive guidance, I was able to complete a project I've been meaning to do since my Grandmother passed away in 1992: put together a family keepsake of cherished recipes that might otherwise have been lost, a unique and invaluable gift, that will last for generations. If you get the chance to do Heirloom Meals, do it! You will not believe how much fun it is to recall all the loved ones of your past, journey back to your childhood recalling the foods you grew up loving, and interacting throughout the whole program with wonderful women experiencing the same process. Carole has a joyful manner for introducing each step in the progression of the book development and a meaningful way of guiding you and your memory back to the tastes and all the senses of earlier times. The book you will create will be a treasure for your children and grandchildren. I am so grateful I have had the opportunity to make this journey with Carole. Through Carole's prompts for memory and writing exercises, I realized the richness of the memories I hold around food and family! Tables and tableaux I had not thought about for years! The heirloom meals project wraps your family recipes with love and reminds you of what to hold dear. Ending up with a family cookbook is the treasure that results!